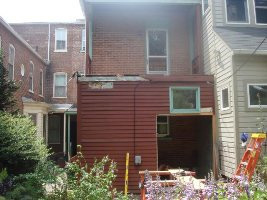 Decks & Balconies - SAM S. SMUCKER & SONS INC.
You work hard. You should play hard, too. Although it’s always nice to go out and explore the world around you, sometimes it’s even better to stay home and entertain. The experts at Sam S. Smucker can help you extend your living space with a stunning, low-maintenance deck that allows you to entertain your family and friends in the sun with style. We have the experience and quality materials, including easy-to-maintain TimberTech composite decking and railings, to design and build your dream deck. 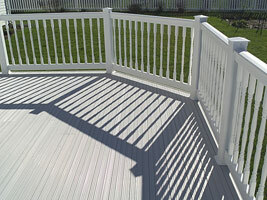 First, we perform your decking installation based upon your design tastes and price requirements. Then, we enhance your deck with high-quality materials and accessories from leading designers, such as Aristocrat, Deckorations, and Maine Ornamental. You can choose your favorite awnings, blinds, canopies, lights, fabrics, flagpoles, covers, and freestanding patio furniture to truly personalize your new outdoor arrangement. Request an estimate today for prices on Timbertech decking and other brands, or contact us for a service call, customer reviews and ratings, and questions to help you begin your Lancaster home deck addition today! Is that dull or broken balcony stealing your home’s charming curb appeal? Relax. We have your replacement problems covered. 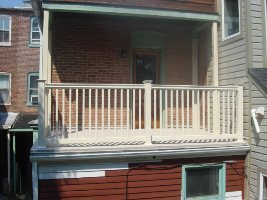 Smucker is also dedicated to helping you enhance or repair balconies, sundecks, or similar outdoor living areas. Always committed to providing you the absolute best designer materials at rock-bottom prices, we are proud to feature Dec-Tec Select. This revolutionary product is made from a first-rate, heat weldable, waterproof membrane. Dec-Tec transforms worn or damaged roof decks, balconies, and sundecks into mesmerizing artistic displays. You simply choose from Dec-Tec Select’s array of brilliant colors, and we do the heavy lifting for you. Dec-Tec products also offer ten-year warranties. Contact Smucker right now to receive more information on Dec-Tec Select replacement product information and average project costs. 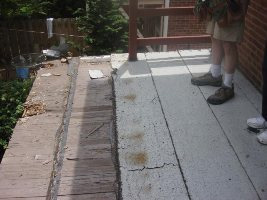 Find out how easy it is for us to start your project with our ultimate balcony repair system! Now this same balcony is beautifully restored and functional after Smuckers applied Dec-Tec Select membrane and finished it off with a maintenance free railing. 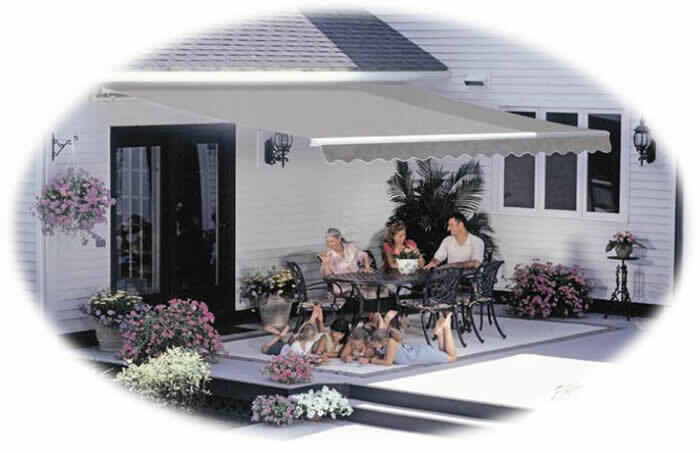 Stay cool by adding a Sunsetter retractable awning. These contemporary awnings decrease the outside temperature up to 20 degrees while simultaneously protecting your family from the harmful effects of solar rays. Call us today to find out how to enhance your Lancaster, PA home with an exceptional deck and breathtaking Sunsetter retractable awning today!